Dragon Masters! 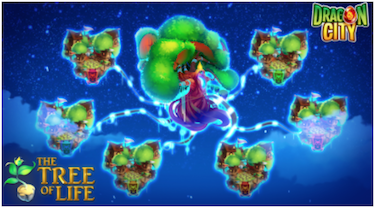 We have found a way through the Tree of Life to come together and bring the Primal Dragons to your Dragon City's!!! We have built in your cities an Alliance Grove! You can now CREATE or JOIN an Alliance! Choose your Alliance wisely as you will have to collaborate to gain Alliance Chest points towards Relics, which contain the orbs for Primal Dragons. Yes Primal Dragons! It is said that Primal was the very first dragon element to exist…and over the years, the essence developed into what we now know as the Pure and Legend Essence… ...but the other part of their essence stayed inside the Primal Dragons at Dragonverse!